Who will be our top scorer next season? Agree with all this, "Trust, Confidence & Belief" - Where do the players get all this from with a manager who stands there with his arms folded all night, I can't see any passion or encouragement from him at all Nice bloke though so it's okay I suppose? With the team we have available, i'm not really shocked with the position we are in to be honest, however... I don't believe for 1 second we'll go down! The managerial appointment was pathetic! his team selection, formation and approach is mind boggling - "Give him time" - MY A#SE ! Carlos Carvalhal "I wasn't sacked. We had problems"
Fair prices, how many are going to watch on the tele though? Poll: Wil you Renew your Season Ticket with CC in charge? 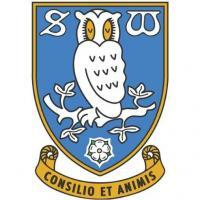 Yeah, because I'm a sheffield wednesday fan. https://www.justgiving.com/crowdfunding/c-knowles?utm_source=facebook Looks like they've reached their target, Brilliant stuff!